I take it you’re all familiar with Azazel’s monthly challenges by now? I mean really, if not – where have you been? For those who are completely new to the idea, blogger extraordinaire and prolific hobbyist Azazel has been encouraging his readers to take part in a series of monthly challenges throughout 2018. The nice thing about these is they are generally aimed at encouraging us to complete existing projects rather than simply being an excuse to start new ones. 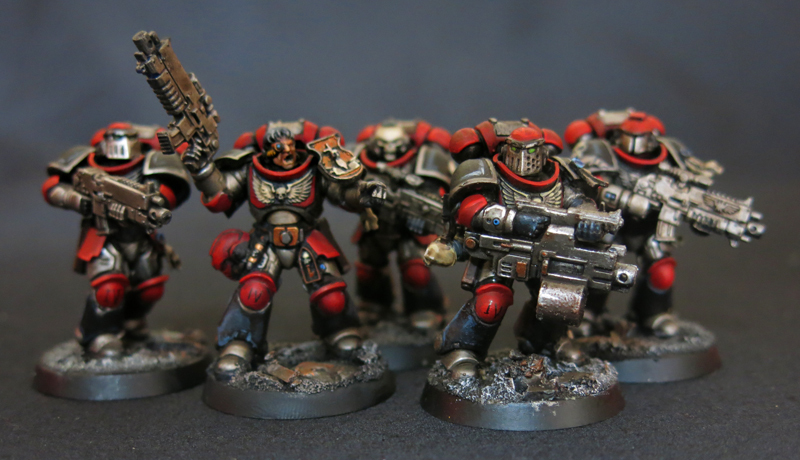 Last time Azazel ran a community challenge to complete a unit of models, the aptly named Junit, I took it as an opportunity to complete my first five space marines based on the Primaris models. Since then I’ve added a couple more so this month’s challenge -again calling for a unit to be completed – seems like a fine opportunity to round out the full squad of ten. I made this one as a test model back when I was first exploring this project but somehow I ended up never painting him, so getting him finished was my first priority. Alongside him we have his battle brother, ready to send any heretics that turn up packing with a quick blast from a flamer. That just leaves me with the squad’s Sergeant to paint and the acting Sergeant to be demoted to the ranks, which I should be able to manage before the end of the month. As well as getting two more space marines painted for my nascent force I’ve also been kitbashing away, getting some more of the Emperor’s finest built. First up here’s the Captain who’ll be leading the army (at least until I get around to making a suitably imposing Chapter Master). At the moment I’m still working on a name and suitably pugnacious background for him, and indeed for the chapter as a whole. I’ve got a few ideas sloshing around in my head however and I’m planning to write them out soon as they’ll feed into the development of the army as it grows. I’ve also tried to add a bit of gothic flair to the company ancient. The warrior given the honour of carrying the battle standard should be dressed to impress both the brave warriors of the Imperium and the craven scum they face and the base model is just a little bit plain for my taste. Even though I doubt I’ll have many war engines in the army (beyond a Dreadnought or two of course because as every sane person knows Dreadnought are amazing) I knew from the get-go that I’d have to include a tech-marine. 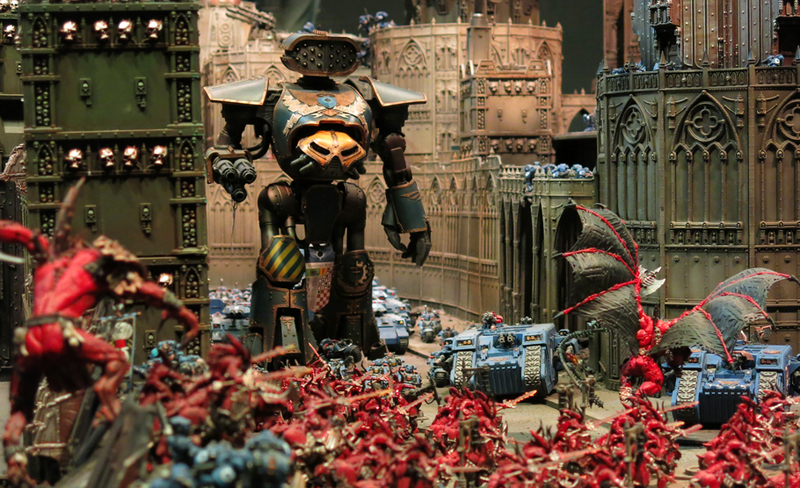 To me this is one of the most iconic units in 40k and the chance to include one was one of the things that attracted me to the space marines in the first place. As it stands these are all still WIPs so as ever I’m all ears for feedback if there’s any improvements you think are called for before they go under the brush.